You can get yourself a free WestPoint towel set. Just follow our link, click Signup button and then supply them with your postal details and answer a few questions and they will send it to you. 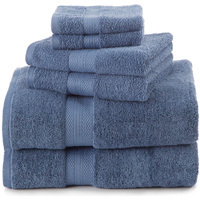 Click GET FREEBIE button and then order your free towel set today.